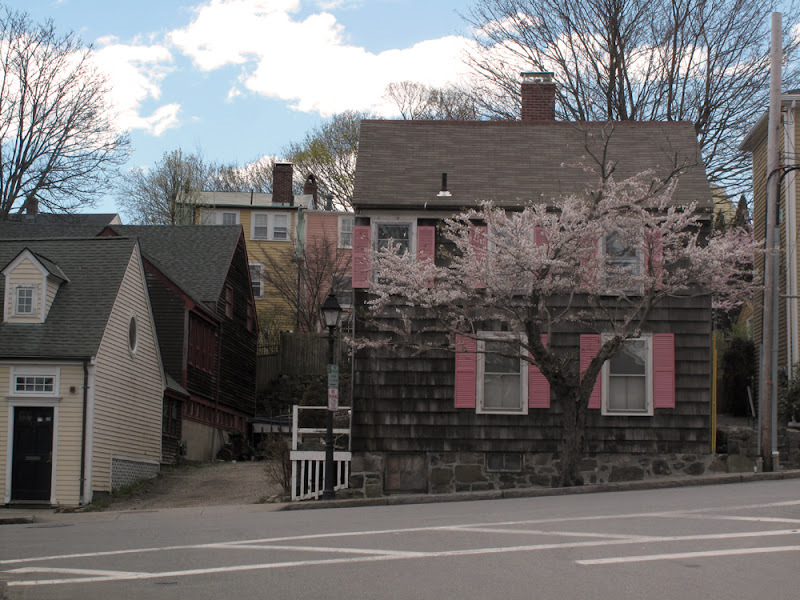 According to iPhoto, one year ago today I was in Marblehead on the North Shore taking the photo above. I asked Elizabeth to write a ditty about spring to introduce the new trio of projects on the right-side column. I wonder if she really thought I would publish it? Muhahah. It's sunny and 60 degrees in Boston today, I think we can all be thankful for that! Hope you're having a great weekend! Welcome, spring! Hello azaleas, cherry blossoms, and perfectly unpredictable weather. But if lush, yellow blankets of pollen are keeping you indoors in this otherwise wonderful season, it will do you some good to freshen up your abode. And even if, like me, you're immune to oak and cypress spores (although a recent bout of cold-like symptoms has me newly doubting my invincibility), spring is when we're supposed to throw open the windows and revitalize the household and the garden. Your sofa could use a few pillows primavera, couldn't it? And as one of my favorite seasonal pastimes is watching big bumblebees make love to the lavender blossoms (seriously, it's salacious what they do to those flowers) let's throw some pollinator-related recipes into the mix. Enjoy our fresh picks for springtime! Lovely shot. I love Marblehead! My mom lived there for several years in the 70s when she was based out of Boston with Delta...we have good family friends who live on Pleasant Street. Sigh. I miss you, Beth! Come visit your Mom's place of several years in the 70s, what kind of child are you! ?